Nancy Paulsen Books, 9780399172045, 288pp. C. C. Payne intertwines heartache with humor and hope in a novel about navigating divorce and blended families, following your passion, and celebrating who you are. Fizzy is a good Southern girl who just wants to be perfect. And win the Southern Living cook-off. The being perfect part is hard though, since her parents’ divorced and everything in her life has changed. Wary of her too-perfect stepmom and her mom’s neat-freak, dismissive boyfriend, she’s often angry or upset and feels like a guest in both homes. She tells herself to face facts: She’s a “leftover” kid from a marriage that her parents want to forget. But she has to keep all of that to herself, because a good Southern girl never yells, or throws fits, or says anything that might hurt other people’s feelings—instead she throws her shoulders back, says yes ma’am, and tries to do better. So Fizzy tries her best, but it’s hard to stay quiet when her family keeps getting more complicated. Fortunately, the Southern Living cook-off gives her a welcome distraction, as do her new friends Miyoko and Zach, who have parent issues of their own. 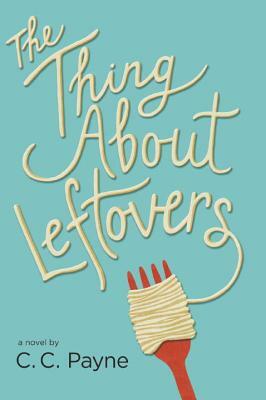 With the poignancy and humor of Joan Bauer and Lynda Mullaly Hunt, this poignant story reminds readers that they have a right to a voice, that it is okay to say how you feel, and that some leftovers are absolutely delicious! C. C. Payne (www.ccpayne.net) was born and raised in Kentucky by a family chock-full of superb storytellers. At the age of seven, she became a voracious reader. She says, “The house could’ve fallen down around my ears, and I would’ve just thought, Does this mean I have to put my book down?” She also wrote Something to Sing About, which was nominated for a Children’s Crown Award and a Kentucky Bluegrass Award, and Lula Bell on Geekdom, Freakdom & the Challenges of Bad Hair.